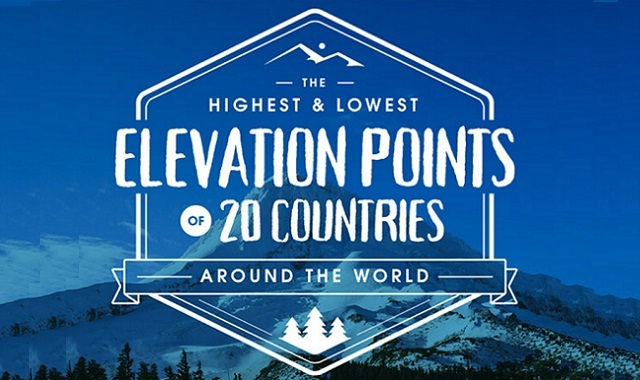 The Highest and Lowest Elevation Points of 20 Countries #infographic ~ Visualistan '+g+"
Want to get high in Canada? Then head to Mount Logan, which looms 19,551 feet above sea level. If you’ve ever wondered where the highest and lowest points on the globe are, check out this infographic full of fun geography facts, courtesy of BudgetDirect.